Dr. Barbara Moser went to The Ohio State University in order to obtain her medical degree. She completed both her internship and residency program at St Joseph's Hospital and Medical Center and she’s specialized in Radiology and board certified in Diagnostic Radiology. 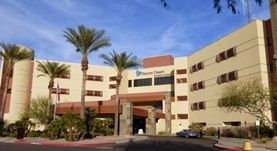 Dr. Moser has been in practice for more than 20 years and is affiliated with Banner Desert Medical Center.